I would never deny that for me my blog is like a baby. I want to treat it the best way possible and always make sure that I can add new features in order to improve and grow. I know that many of you reading this have their own blog and you might be interested in how you can improve and take your blog to the next level. When you start your blog the one thing that is the most fun but also fundamental decision is how you want your blog to look like. 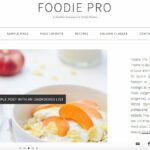 If you like the design of my blog, it is the Foodie Pro theme. I explain my love to this theme a little bit more here. But to sum it up you should look not only for a theme that looks pretty but also make sure you have a contact person there that can help you when you have a problem or question with something. I think I texted Shay from the Foodie Pro 6 times in my first month and she always replied and helped me. The Foodie Pro theme allows you to put in ads and has further the option to show a beautiful big slider of pictures. When I started my blog I had one of these templates from WordPress for free and I really enjoyed changing it every single week to another one. When you start a blog it is fun to experiment and it is also really what you should do in order to learn all the features your theme offers. Don’t be afraid as it might be overwhelming at first, but soon you will be familiar with all the tools. I switched my theme to the Foodie PRO as it allows me to do a lot of customization. Further the owner Shay, provides a lot of information in tutorials about the implementation of widgets and the set-up of the theme. Also, most themes are messing with your mobile design, whereas the Foodie Pro theme adapts so nicely and let the pictures even on the phone shine brightly. If you have NO IDEA about WordPress, coding and designing a blog, Shay offers a service where someone creates your blog according to all your wished within 2 days. This service, of course charges a fee. When you feel confident enough to do it on your own (I did it and I have NO tech background at all! ), you should def. go for it. And should you have a question to the theme, no matter what, Shay (the creator of the theme) will help you solve it and answers your email within the next 24h personally. I never experienced that “familiar” and “warm” service before. It is not like you would talk to a company, but rather to a friend. 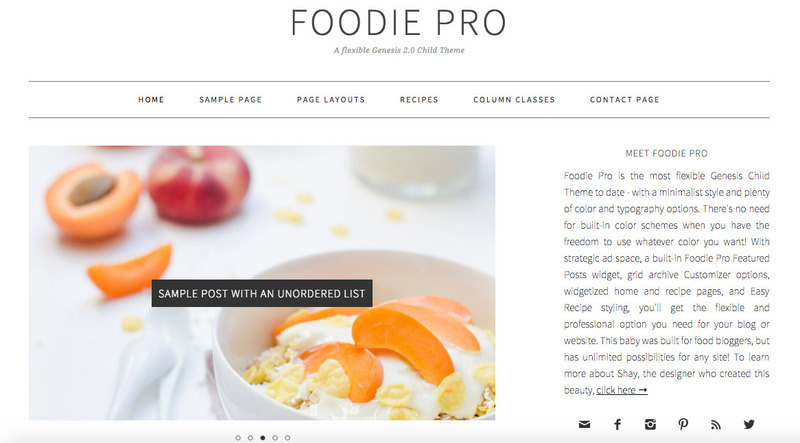 Why not upgrading your theme today and trying the Foodie PRO? It was actually the best-spent money during my “bloggers carrer”. If you want to implement ads I recommend that you start with Adsense and Gourmet Ads. I am using both of them and I just made positive experiences so far. Gourmet ads, in my opinion, has more food related and higher quality ads and therefore, I think I like them the most. Do you know other ad networks you like? Or have you already applied to one and didn’t get in? You might want to read my post with 3 reasons you might haven’t been accepted by Gourmet Ads and Adsense. If you are looking for more food blogger resources and how I make good quality pictures in general, feel free to check out my blogging resources post. On a side note, I want to point out that once you decide on having ads on your page you clearly want to go with the credo: Less is more! Ads are a nice way to get some extra money but they can soon annoy your readers and slow your side down. I am the least person that should talk about logo design. I have changed my logo 3 times during the last half year and I am still not happy. So if you have any ideas feel free to send them to lara.zaugg@gmail.com 😉 Anyway, I think a good logo is key to a unique identification. A logo should be more than just a picture or a nice written name. The perfect logo encompasses everything you stand for. You can create your logo simply in a word document or for those who have they can use Photoshop, Illustrator or Indesign. I recently came across a fun tool on the internet where you can play around with fonts and shapes and create your free logo. The page is Logomakr and it is really fun! If a brand is not approaching me with at least my name, then the email gets deleted in less than 3 seconds. No mercy. If you really want to boost your earnings from your blog and gain some more exposure, you should collaborate with the right brands. Great companies approach you with your name and are willing to discuss a way of promoting their product, so it is aligned with your wishes and your style of posting. I personally aim for long-term relationships. I have very personal relationships with many start-up brands where I really love the product and think they deserve way more attention. I am enjoying this trust and therefore, I spread the message for free with no money involved. Then there are other collaborations that require a lot of work and time from my side and it is just fair to get properly rewarded. As with so many things in life, I think it just comes down to find the right way for you. Find the path you want to go. Besides that, there is just one thing you always want to do. No matter how much money or benefits you get from a company, make it a priority to always share your honest opinion as otherwise you are going to destroy the faith that your readers have in you. Treat them like the most precious thing you have. Why are you blogging? Of course, you love what you do. If you would ask me some years ago I might answer because it is fun to write and upload pictures and have a collection of what I’ve done so far. Like a nice online diary. 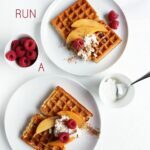 As some of you might know I started as a food blogger where I just posted recipes. Don’t get me wrong it is still the thing I love the most as my second passion is baking. However, I felt that this blog only lives from the community and I wanted to add more life. I wanted to add more me. So the greatest thing for me really is the community. The exchange and the sharing of ideas. I stopped being a blogger that’s constantly shouting out blog posts, and never really connects with the audience. Showing your readers who you are and that you’re a real person that wants to connect with them makes you seem more human and approachable. Connected to the point above you need to give your face a blog. Don’t hide behind the computer. It took me a while but some month ago I realised a lot and finally broke free. I wrote a very personal blog post and told my readers some fact about me. Since then I feel like people have a better understanding who’s the girl behind the dough. It was so worth it. Once again, thank you for your posts, I discovered your blog really recently and this already helped me a lot. Hi Lea, thanks so much! I totally agree with you. However I thought that a free blog was totally fine for my start. 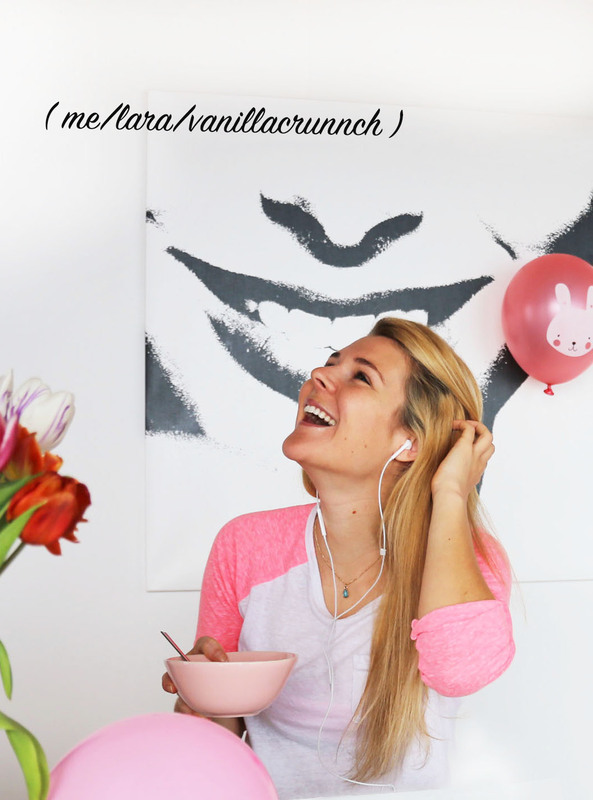 I had a free blog for 2 years and then I changed and migrated my content. I would advise you to do the same ???? have a great day! I’ve been following your blog for a while and lately I’ve been inspired to start my own blog. However, when doing some research, I noticed that if I choose to go with a free blog there are a lot of limitations on the stuff it can do as well as the possibility it could just get deleted. However, I don’t really feel ready to pay for a blog yet. This leaves me a little confused. I was wondering if you maybe have any experience with starting a blog on a free website and then possibly upgrading to an independent blog? Or do you have any advice on the subject? I’d love to hear any advice you have! I do read a lot of articles about blogging just to improve the contents of mine. I am very glad to read this article. Thank you. Thanks for sharing the wisdom. I especially agree about being selective when it comes to cooperations with brands. Unless there is an inherent “fit”, stay away and wait for a match. Very welcome! And good luck! These tips are fantastic! I think that no matter what when you’re blogging, though, you need to have a big purpose to blog. Some people run out of ideas so easily even when they put so much time and effort into design! Creating relationships with brands and promoting your best interests are really good ways to make blogging a much bigger part of your life and possibly a pathway to a new career!